Basically, I started writing this blog as a cathartic way of getting my feelings out about what I. So many times, especially after Kindle Unlimited unrolled, I would read a great review, purchase a book and then go WTF. So many bad book suggestions by Amazon and so much money wasted. A few months ago, I get nailed by a reader on the blog, just ranting at me about a bad review and how mean and awful of a person I was. That book was special to her and how dare I claim that it was not an amazing, fabulous read. It wasn’t that bad a review either, 3 stars actually. To me, the book was not to my taste and I pointed out the reasons, always trying to be fair but honest. Why I’m saying this is in such a convoluted way is that it’s funny, awesome and so fascinating to me how some books can be one person’s treasure and another person was like blah, next, please. 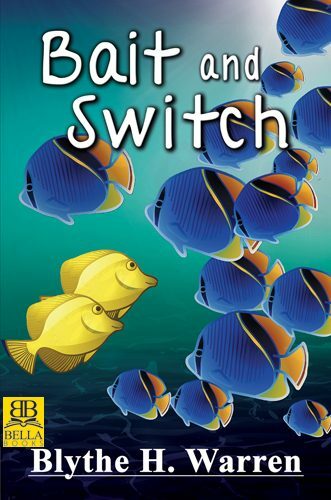 Bait and Switch by Blythe H. Warren is one of those books that I went in with high hopes and came out on the other side wondering what did I miss. By no means a lacking book, but I did not resound with me personally. My biggest reason, I did not really connect with the main character, Liv. I for the life of me could not see why Mira would be interested in her, other than being good at her job, character wise she was flat and uninteresting. I felt like as the reader I was supposed to already get and like Liv. Other than working at an aquarium, and a love for beer, I don’t know much more about her. The book is told from her POV so I would hope to have more understanding of this character and what makes her tick. Just because Bait and Switch wasn’t my cup of tea and Liv wasn’t the protagonist of my dreams doesn’t mean that I wouldn’t read this author again. I absolutely would. Thanks for reading my rant!